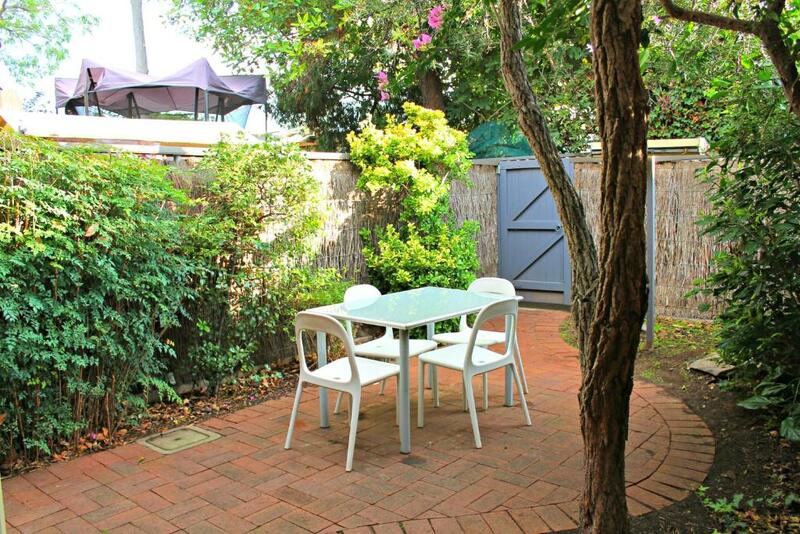 The apartment was in a prime location just a short walk off the high street in North Adelaide, O'connell street. The staff were friendly and highly efficient in answering all my queries and in ensuring that I was provided with info during my stay. Was particularly impressed by the cleanliness of the apartment. Facilities provided were very satisfactory. I would surely consider booking another stay at DressCircle and would recommend this both for business and leisure travel. We were not aware of all the stairs to enter the property. This was not mentioned anywhere. The unit was great, very spacious, great shops and restaurants and very central. Air con in every room which was required with heat over 40c most days and being upstairs. Very clean with all amenities I was looking for. Friendly and helpful staff. The apartment provided everything we needed for a comfortable stay and was conveniently located. Beds comfortable, secure parking at the doorstep, good air-con, aesthetically pleasing with a spacious, well-equipped kitchen. Neat, clean and all modern conveniences. We will definitely book there again. Was great value for money! Lock in a great price for Adelaide DressCircle Apartments - Tynte Street Apartments – rated 9.2 by recent guests! Adelaide DressCircle Apartments - Tynte Street Apartments This rating is a reflection of how the property compares to the industry standard when it comes to price, facilities and services available. It's based on a self-evaluation by the property. Use this rating to help choose your stay! Located in various locations around North Adelaide, DressCircle Apartments North Adelaide-Specialty Accommodations features self-contained apartments and houses with free Wi-Fi, free on-site parking and a patio or balcony. DressCircle Apartments North Adelaide are within 10 minutes' drive of Adelaide city center. Adelaide Zoo, Adelaide Oval and Adelaide Festival Center are all within 15 minutes' drive of all accommodations. The spacious, air-conditioned houses and apartments each feature a fully equipped designer kitchen with stainless steel appliances including a dishwasher. All have laundry facilities, a dining setting and a living area with a sofa, an LCD TV and a DVD player. When would you like to stay at Adelaide DressCircle Apartments - Tynte Street Apartments? Located in a residential street, this apartment is just a few minutes' walk from O'Connell Street's restaurants and shops. 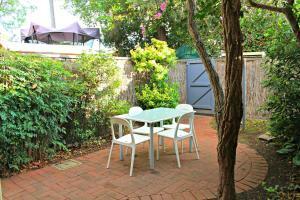 It features a private patio, a fully equipped kitchen and laundry facilities. The lounge area offers a sofa, an LCD TV and a DVD player. This large deluxe apartment features a large terrace, a fully equipped kitchen, 2 bathrooms and a separate laundry. It includes free secure parking. With a great range of residential style apartments from studios to townhouses, we have the perfect place to suit all needs. Great locations, modern, clean and comfortable, come home and relax. Corporate or business guests can take advantage of our “Bed & Business” package at our Business Centre at 47 Tynte Street, North Adelaide that is only minutes away from all apartment locations. We have meeting rooms, serviced offices, and a corporate training classroom available for short- or long term hire for all your business needs while staying with us. This family owned business has built a fantastic team, who are all dedicated to ensuring each guest experiences a great stay in perfect surroundings. House Rules Adelaide DressCircle Apartments - Tynte Street Apartments takes special requests – add in the next step! Adelaide DressCircle Apartments - Tynte Street Apartments accepts these cards and reserves the right to temporarily hold an amount prior to arrival. Please note that housekeeping service is provided every 7 days. Smoking inside the apartment is strictly prohibited. If there is evidence of smoking your booking will be terminated and a fee of AUD $300.00 will be charged as a cleaning fee. Please note that an AUD $300 credit card pre-authorization is required upon check in. Cash is not an acceptable form of payment. Please inform Adelaide DressCircle Apartments - Tynte Street Apartments of your expected arrival time in advance. You can use the Special Requests box when booking, or contact the property directly using the contact details in your confirmation. Awesome location. All round good spot to stay. Stairs to enter the apartment. Advertised parking space in front of the apartment proved inaccesible. We ended up parking on the street which was readily available. I had trouble with the air conditioning system as I couldn't get the heating on during the night and unfortunately couldn't arrange for a technician through the property manager as it was the Labour Day long weekend. Also no system information was available on site to address this problem. However I'm sure the property manager has sorted out the issue for future occupants. An extra mirror downstairs would've come in handy. The bathroom vanity was very small but we were able to make use of the window sill and bath area. Parking area was quite tight and was difficult to get luggage in and out. Was challenging also to move suitcases up and down narrow stairway so in future we will leave suitcases downstairs under the stairway cupboard and carry our items upstairs as required.